Why you should go: No need to trade your pajamas for a party dress because it’s The Saturday Pajama Party! 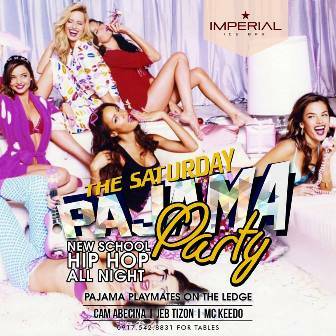 New school and hip hop all night courtesy of Imperial Ice Bar’s resident and guest DJs. Other details: Be there by 10 p.m. For inquiries and reservations, contact 0917-542-8831.